I wish you all a happy winter Sonata Solstice! 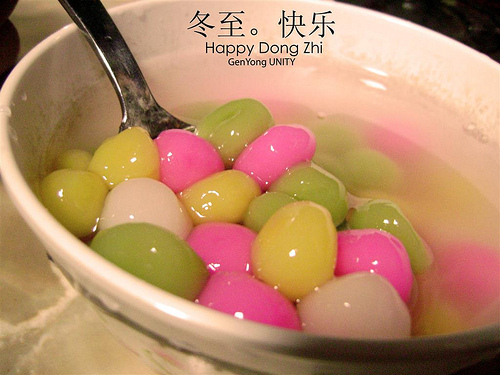 - visit to the nearest dessert house and order a bowl of rice ball. - Enjoy the bowl of warm rice ball in your mouth and let the filling warm up your day. - Skip the jam and reach home earlier than usual. - cook your own frozen rice ball. - Enjoy the bowl of so called home-made rice ball in your mouth and let it warm up your day. Option 2 is my choice, how about you?